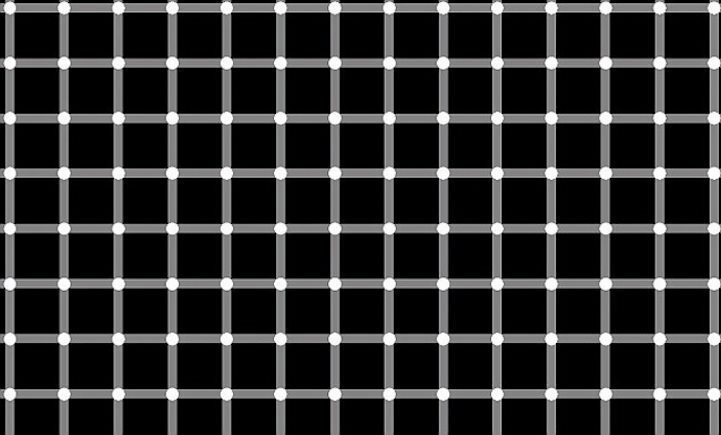 As soon as you place your eyes on this optical illusion you’ll notice fluttering black dots at each intersection of gray lines. 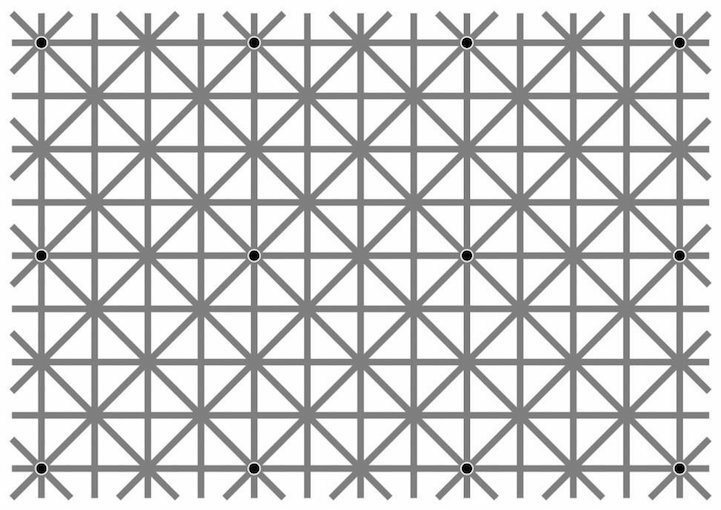 You might be seeing three or four dots at a time but there are actually 12 altogether — 12 black dots that your brain won’t allow you to see all at once, which is why it works. Here’s the same picture. Look again. You’ll see a totally different set of dots.